Why Circle Dance Grapevine? Because Grapevine is the magazine of circle dance and you can discover both of them here. 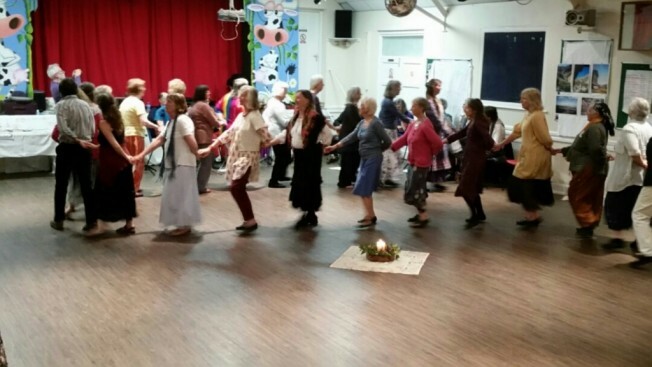 Dancing in a circle is an ancient tradition common to many cultures; marking special occasions, the seasons, strengthening community and encouraging harmony and peace. 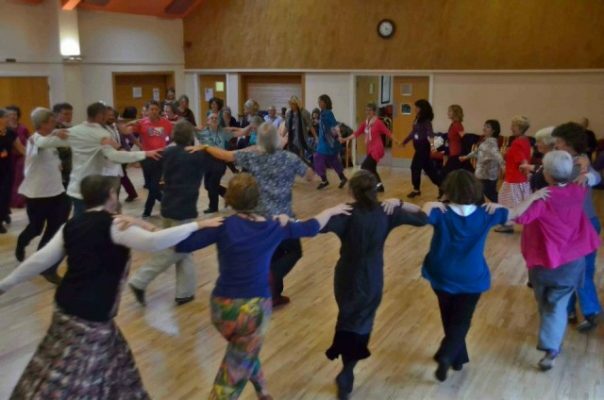 So, Circle Dance draws on the rich and diverse traditional dances of countries from all around the world; the Balkans, Greece, Russia, the Ukraine, and Israel. There is also a growing repertoire of new dances to classical music, contemporary songs and music composed for Circle Dance. 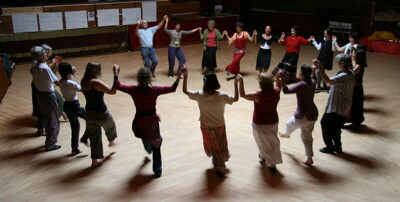 Circle dances can be energetic and lively or gentle and reflective. Consequently, the style and mood reflects the group and the interests of the teacher. 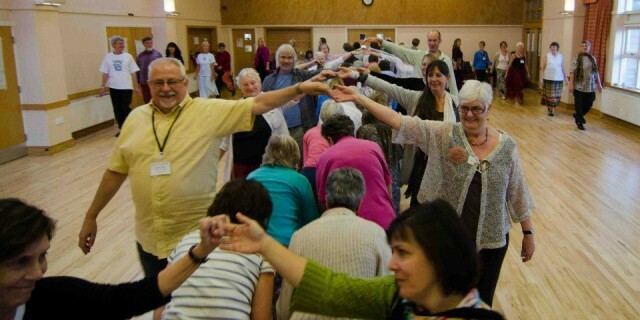 However, we aim always to experience the connection and joy of dancing with others, creating a sense of well-being and community. 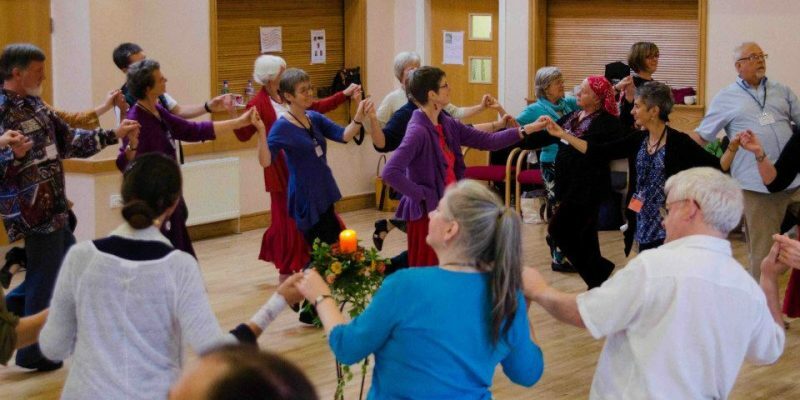 Above all, anyone of any age or ability can circle dance. Each dance is taught, there is no audience and everyone is welcome. So come on your own or with a friend (you do not need a partner) and join in. 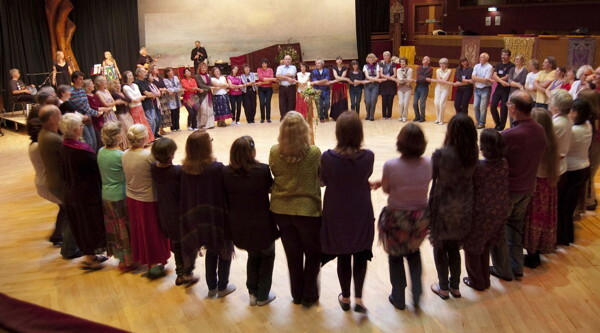 Circle dance groups meet regularly all over the United Kingdom and abroad, and hold special events, dance days, weekends and circle dance holidays. Grapevine is the quarterly subscription journal of the circle dance network. Subscribe here.